If you are a Volvo owner take advantage of the Volvo Loyalty Bonus. 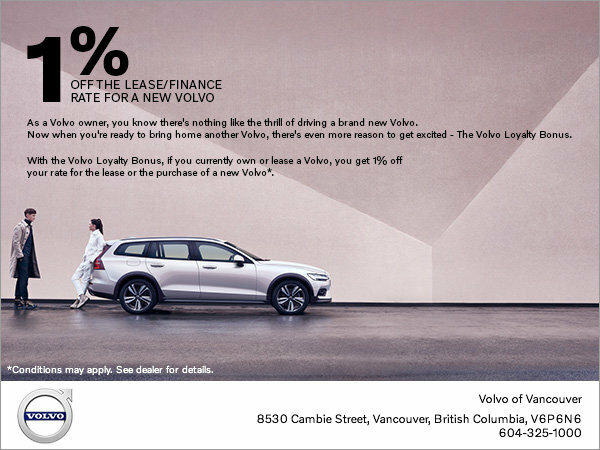 We offer 1% off on your next lease or purchase of select new Volvo vehicles. Hurry, your new Volvo is waiting for you!